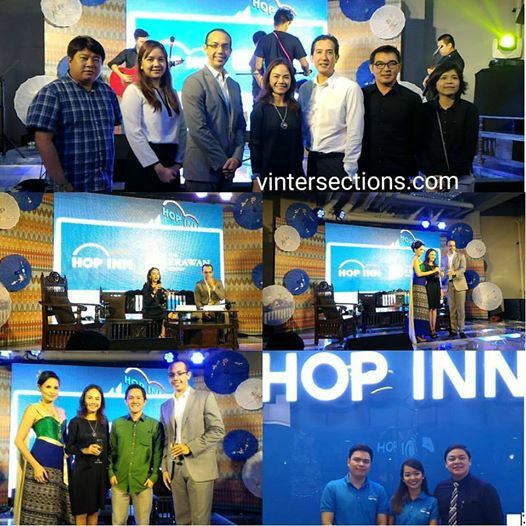 Thailand-based Hop Inn Hotel was officially launched in the Philippines through its pioneering branch along Ermita, Manila on December 1, 2016. The media launch was held on December 13. the hotel offers high quality accommodation for both the business and leisure markets on a tight budget. According to The Erawan Group PLC President, Ms. Kamonwan Wipulakorn, this island nation serves as their first market abroad since they ventured into the economy category, in addition to the premium global hospitality names they have been building and operating over the last three decades. On December 1, 2016, Hop Inn Ermita opened its door for local and foreign tourists to experience and enjoy first-hand what the Thai expertise and world-renowned Filipino hospitality are about. 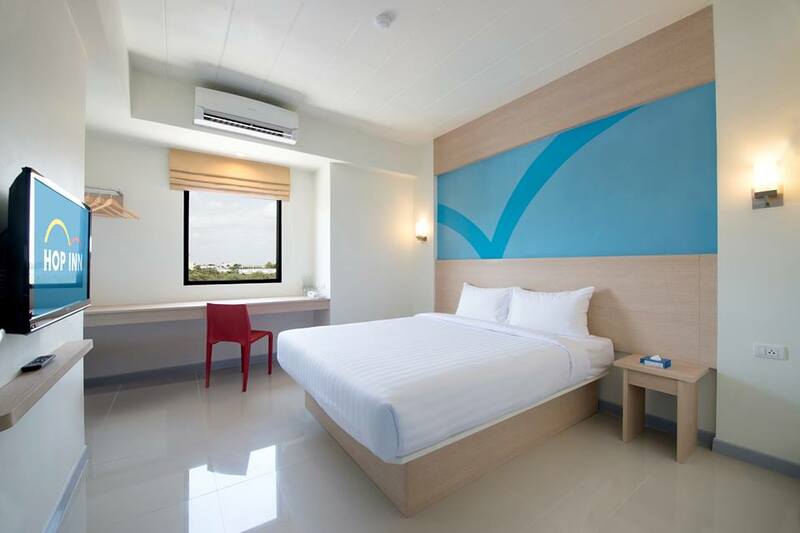 While it falls under the economy travel class, the hotel is designed to offer quality and convenient stays––thanks to the company's 35 years of vast experience in developing international five-star hotels, such as the Grand Hyatt and JW Marriott, among others. Travelers can expect a decent accommodation at affordable prices. Upon entry to this mid-rise property, visitors could already feel the warmth of this place with the vibrant colors of the lobby. This is complemented by the courteous and accommodating staff, who are well-trained and on-hand to assist them so as to make their stay well worth their money. Hop Inn Ermita has 168 rooms––all spacious and well-appointed. Each is equipped with fundamental amenities to ensure a good night’s sleep after a tiring business or leisure trip, and in preparation for the next day's meetings or city exploration. "We offer a very basic requirement. Our brand essence is for our rooms to be clean, convenient, comfortable, and safe," Wipulakorn cited. "We make sure that all of these are consistent to all our clients here and in our upcoming branches in the near future." 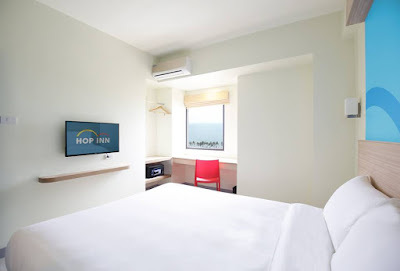 The leading hotel operator in Southeast Asia has allocated around 10 billion baht, or about P12 billion, for its five-year investment plan aimed at further growing its Hop Inn network in the region. "Thirty percent of that will be for the Philippines," the Group's president said of their P3.6 billion capital expenditure to build around 20 three-star hotels nationwide by 2020. As the leading investor in the hospitality sector in Thailand, The Erawan Group currently operates 41 hotels there, with a total inventory of 6,000-rooms. "Next year, it's going to be 50 hotels, including two in the Philippines," Wipulakorn bared, referring to the P200 million-worth Ermita property and the 190-room Makati branch, the latter now under construction in preparation for opening in September 2017. Others in the pipeline include the ones building up in Aseana in Pasay City and Alabang in Muntinlupa City––both scheduled for inaugural in the first quarter of 2018. The Group is also looking at Quezon City, Chinatown, and Cubao in Metro Manila, as well as Cebu and Davao in the Visayas and Mindanao regions as potential sites for its Hop Inn brand. Because of this expansion plans, many employment opportunities are opening for Filipinos. “We have created jobs with our ongoing construction already. We will set up an operation team in the next few months and the plan is to hire local staff as many as possible as they would understand customers’ requirement and respond well to market,” Wipulakorn said. Wipulakorn revealed that they intend to double their target number of hotels in the next 10 years.